All photographs by Will Peischel. 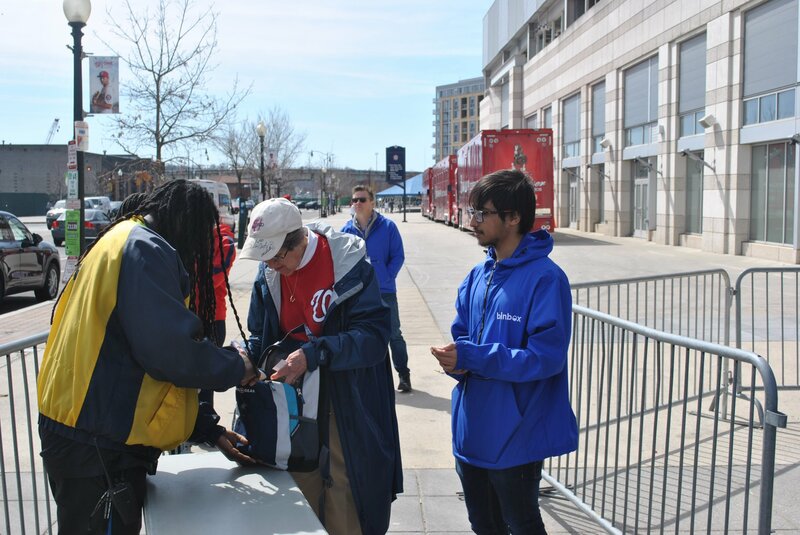 Opening Day at Nationals Park marked the rollout of the team’s new bag policy, which is to say, you can’t bring in most backpacks. That’s right, freeloaders, your rosy days of heading to a ballgame with objects larger than 16”x16”x8” gratis are over. 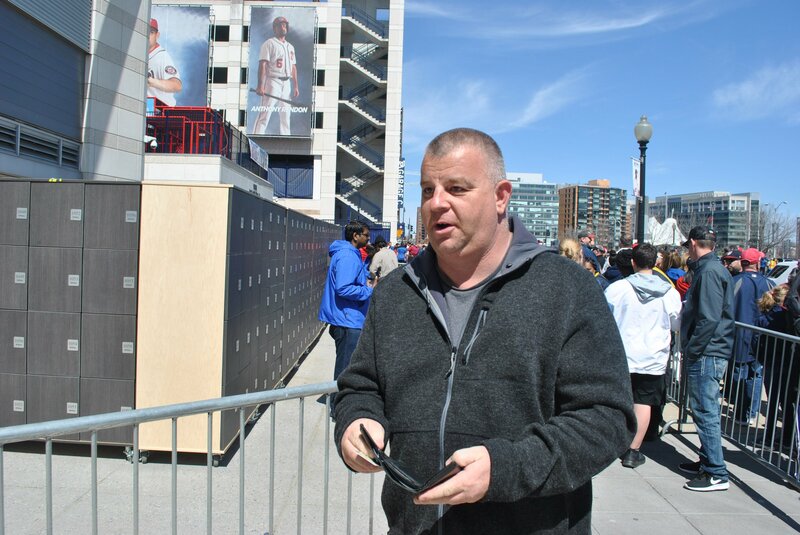 For those who are willing to shell out $2 an hour, Nationals Park offers an alternative: lockers. 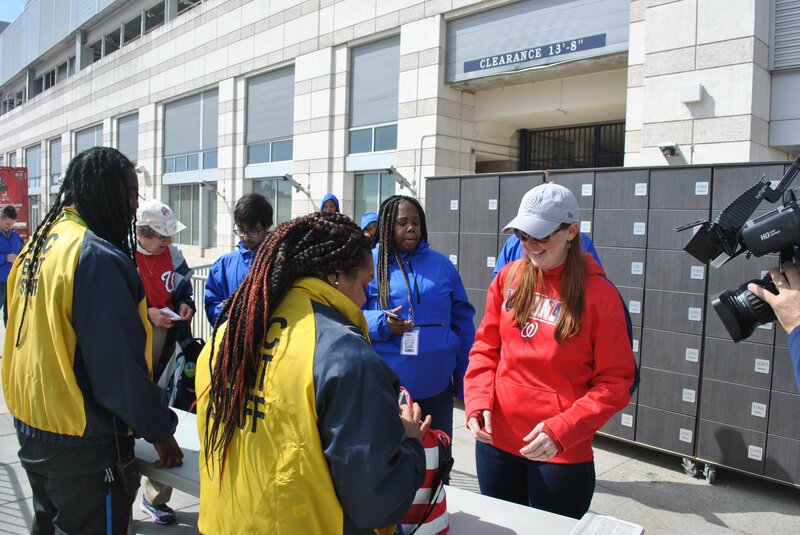 Last month the Nats tapped Binbox, a startup that specializes in locker storage at sporting events, to provide the storage at the right and center field entrances. Waves of excitement among those in line, mostly people who hadn’t heard of the policy change, weren’t palpable. Even non-New Yorkers were frustrated. Tom Davenport, a retired Virginian, spent almost ten minutes navigating the Binbox interface, which involves a phone application download and cashless money exchange. Davenport showed me his phone. He was right, his phone brightness was low. Other attendees, like retiree Kathryn Zeiders, say they were caught off-guard by the policy change and called the process a hassle. The founder and CEO of Binbox, Dan Flynn, says he hopes his locker banks will come to be seen as a convenience for people who don’t have time to drop off their extra stuff at home. 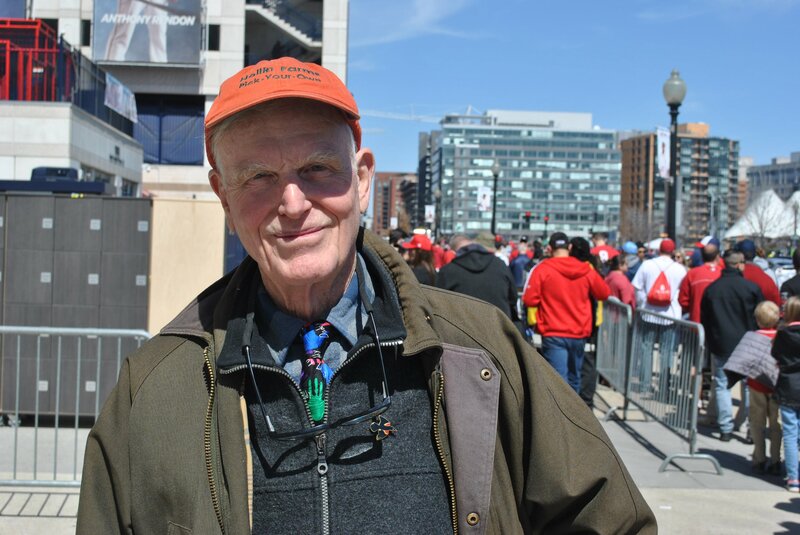 He also emphasized that his company didn’t enter the picture until after the Nationals changed their bag policy. In fact, Binbox had to adjust an order it had already made to meet the opening game deadline. Flynn hopes to eventually use lockers made from powdered steel. But those take up to 14 weeks to manufacture. Binbox wasn’t a pain in every case. Rachel Patterson, a United Nations Foundation employee who took the day off and arrived via bikeshare, expressed disdain for the Nationals’ bag policy. However, she kind of liked the lockers.